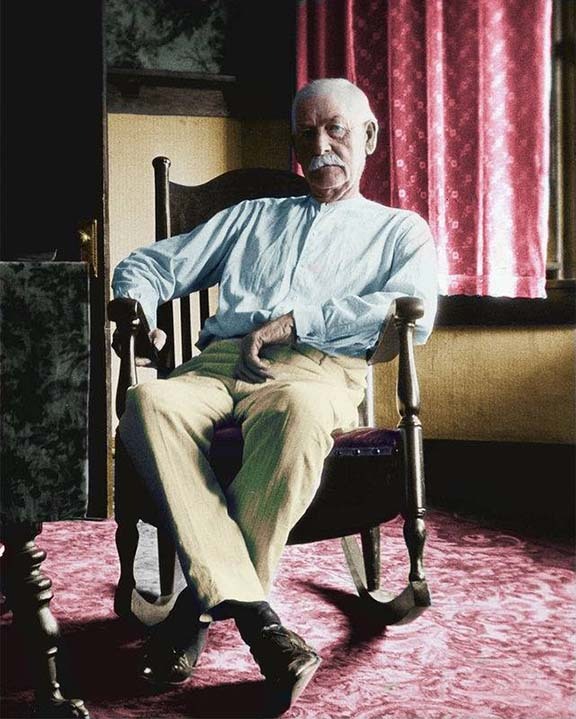 Someone has colorized this classic photograph of Wyatt Earp, that dates from the 1920s. I'm not sure I like it. On the one hand, it brings him closer to our world and makes him seem more human in some ways, but on the other hand, it kind of destroys the sepia-mists-of-time magic of the black and white. What do you think? "Everything looks worse in black and white. . ."
Love it in colour, really brings him to life, not just an historic character. Thanks for giving them both to us, Boze. This would have been somewhere around 1920 I suspect. 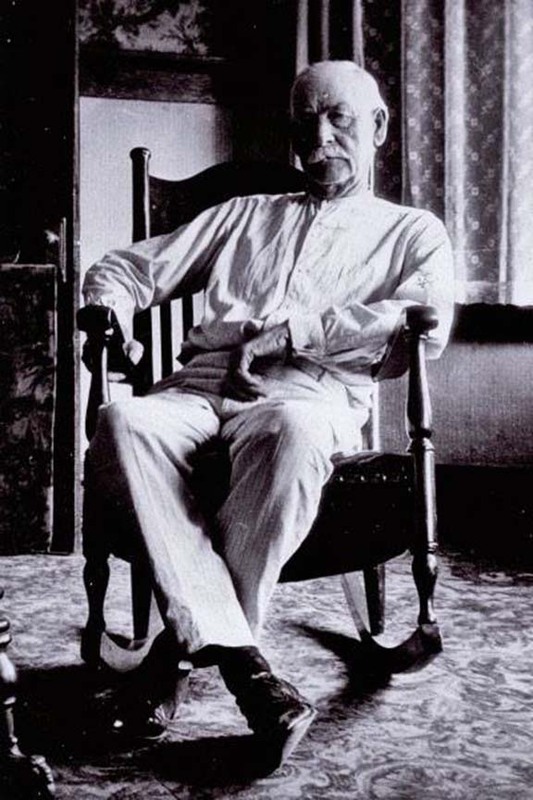 Maybe Tom Mix bought him the clothes. Beautiful job of colorizing. I like it. I like them both. Thanks. I think Paul Simon has it backwards. A lot of things look better in B & W, and human faces are one of them. I prefer the B & W Wyatt, although colorizing him isn't terrible. However, looking at the tones, I don't think the colors picked for his clothing or the curtains are the correct ones. Should be white shirt, pale beige pants, and blue curtains. A lot of B & W portraits back then were were not left B & W, but were hand colored. Or some had additional charcoal or dark pencil added to increase contrast or add shadow in places. So even then, people wanted more from the photos. Colour brings the past to life . I agree. I like both options. I believe that both images can exist together with the colourised version taking nothing away from the original. If done well, the colourised version can offer a different perspective on history as historical paintings do. This copy of W.E. is similar to one of him I colourised a couple of years ago. My version and others can been seen on Instagram @ gary_sheaf. Please escuse my blatant self promotion.